Of the many factors that made David Moyes an odd choice to succeed Sir Alex Ferguson, the contrast in their style of play was near the top of the list. Moyes is a reactive manager that isn’t renowned for producing exciting football, and insists on predominantly generating attack from wide areas. 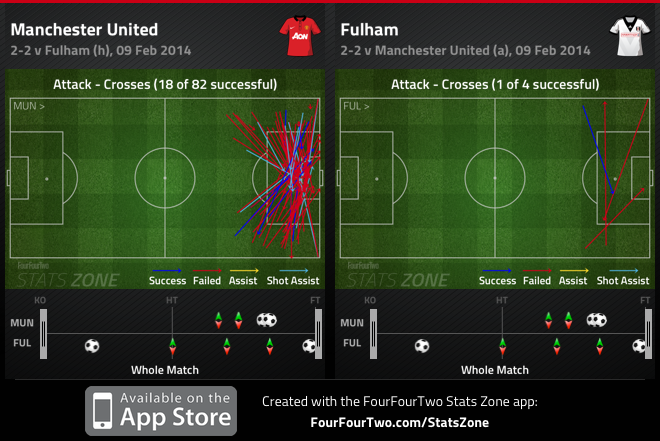 On Sunday, crosses were a distinct factor in United’s attack. Moyes’ men dominated possession for large portions of the match, as they aimed to isolate Fulham’s fullbacks. United completed 82 crosses, nearly 400 more passes than their opponents, but the most shocking statistic was the startling difference in attacking third passes. Here, Fulham maintained a narrow shape, with 10 men behind the ball, so it was logical for United to utilize their wide options. The issue with Moyes’ approach was that it lacked variety – Fulham were prepared to cope with United’s willingness to deliver crosses into the box. In fairness, both goals stemmed from initial crosses into the box from Adnan Januzaj and Patrice Evra, but many were disgruntled with Moyes’ approach. Simply, United encountered three problems – they were outnumbered in Fulham’s box, their passing tempo in buildup play was slow, and the quality of the crosses was inconsistent. Wayne Rooney and Robin van Persie squandered legitimate goal-scoring opportunities from point-blank range through crosses from Ashley Young and Rafael, while Maarten Stekelenburg made key saves to frustrate the home side. Moyes’ men, however, stuck to their task, and continued to attack wide areas; it created the platform for United to score twice, but it wasn’t enough. Juan Mata’s arrival to Manchester United was a sign of ambition. The goal was to provide an overall lift in the side to push for a top-four position, but it was also an opportunity to add world-class talent in their attack. The main talking point prior to Mata’s arrival was the threat Mata, Rooney and van Persie could pose. While United dominated nearly every aspect of the match at Old Trafford, their three best players failed to impress. Despite Mata and van Persie’s involvement in the first goal, neither player enjoyed a great game, while Rooney drifted in and out of the match. This is not to say that the trio played poorly, but they didn’t ignite a spark to guide United to three points. Carrick, however, was United’s key man – the Englishman enjoyed arguably his best game of the season, constantly changing the home side’s route of attack. 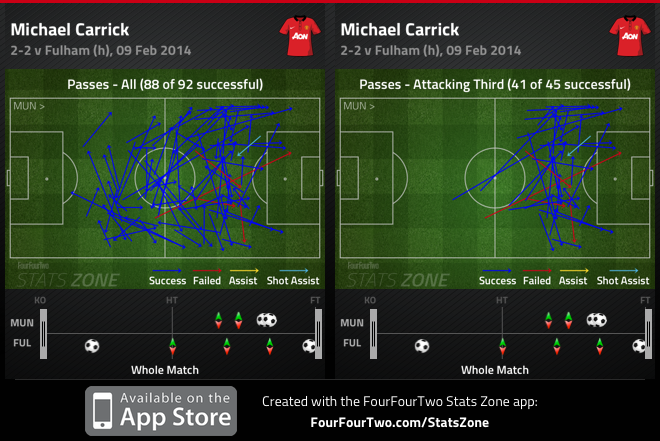 Similar to Carrick’s fortuitous goal, the United midfielder’s passing was significant. Today, Carrick provided dynamism in attack, and when he wasn’t playing scintillating balls to Ashley Young, he was driving towards the Fulham penalty area. His shot from the edge of the box in the first half was inches wide of the post, but his goal in the second half nearly capped off a great afternoon for the England international. Although United’s attacking trio didn’t play up to their standards, Carrick’s performance is a boost for Moyes. With United now sitting nine points behind Liverpool for the final Champions League spot, they’ll need all their top players performing at high-levels if they intend on doing – what looks to be – the impossible. The most impressive feat at Old Trafford was Fulham’s ability to secure a result. Although one should credit their perseverance to cope with United’s attack – even if it was far from United’s best performance – their overall approach was negative. Rene Meulensteen’s side preferred to play on the counter-attack, and maintained a compact shape, as they were in dire need of a result. Johnny Heitinga and Dan Burn confidently dealt with United’s crosses from the flanks, while Lewis Holtby and Muamer Tankovic pressed Darren Fletcher and Carrick when possible. Fulham comfortably coped with United’s attacking threat in the first half, and while Meulensteen’s men didn’t enjoy much possession, they were efficient on the break. Fletcher was responsible for not tracking Steve Sidwell in the build up to the Fulham midfielder’s goal from a magnificent Holtby ball. In the 37th minute, Fulham were presented a great opportunity to double their lead, and Tankovic broke on the counter from his own half. Tankovic was placed in a 2v2 situation, but waited for the overlapping Kieran Richardson, thus playing him in, but the Fulham winger skied his shot over the bar. The Cottagers didn’t offer any attacking threat in the second half, as they spent majority of the half defending at the edge of their box. Meulensteen’s side were seconds away from defeat, before a poor Nemanja Vidic clearance led to Richardson forcing De Gea to make a key save, and substitute Darren Bent nodded a De Gea rebound into the net. Fulham currently sit at the bottom of the Barclays Premier League – three points away from safety – but this could be a vital point that separates survival and relegation at the end of the season. David Moyes’ Old Trafford debut ended in a lacklustre scoreless draw against Jose Mourinho’s Chelsea. 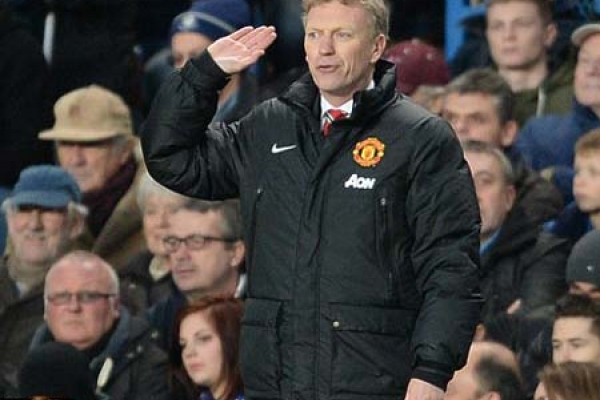 Moyes made one change to the side that defeated Swansea at the Liberty Stadium last week. Wayne Rooney started in the no.10 role behind Robin Van Persie, pushing Danny Welbeck to the left flank, while Antonio Valencia kept his place on the right. Moyes stuck with Tom Cleverley and Michael Carrick in the double pivot, as his side lined up in a 4-4-1-1. Jose Mourinho’s starting 11 was surprising, making two changes to the side that defeated Aston Villa, Wednesday night. Andre Schurrle led the line in a 4-2-3-1 with Eden Hazard, Oscar and Kevin De Bruyne behind the German international, while Frank Lampard and Ramires played in the double pivot – pushing Juan Mata to the bench, while Demba Ba wasn’t included in Mourinho’s squad. This was never going to be spectacle considering both managers tend to approach big matches with caution, and to no surprise we experienced a tight affair, with minimal clear-cut chances. Chelsea entered the match knowing a point would be a great result, and focused on keeping a compact shape and breaking on the counter. Often sitting in two banks of four near their edge of the box, it was Hazard and De Bruyne who were given the tasks to prevent United from overloading the flanks. The Chelsea wide men were disciplined, and completed an adequate job, forcing United to attack down the middle. Similar to Rio Ferdinand and Nemanja Vidic, the Chelsea centre back pairing of John Terry and Gary Cahill were magnificent – they dealt with every cross that came into the box and made key tackles and blocks to preserve their clean sheet. Oscar was handed the duty to keep close to Carrick and prevent him from playing forward passes, but the surprise in Chelsea’s approach was neglecting Cleverley – the Englishman finished the match with a 91% pass rate, completing the most passes in total and in the final third. Moyes also took the same approach – he instructed his men to drop into two banks of four, and his wide men were just as good as the likes of Hazard and De Bruyne in protecting their fullbacks. United was focused on limiting space in central areas and also sat deep in their third, to limit the space behind Ferdinand and Vidic. Moyes’ men often allowed Lampard and Ramires to have the ball in deep positions, but they occasionally pressed Ramires when he attempted to push forward, meanwhile Lampard played safe, sideways passes and United was content with that. Schurrle’s inclusion in the squad led many to think Chelsea was going to replicate last season’s approach in their Champions League away match against Juventus, where they played a 4-6-0, yet the German played as a traditional no.9. There are many reasons why Mourinho left Romelu Lukaku and Torres on the bench, but it was evident that he wanted mobility when his team broke on the counter. Schurrle made several runs in the channels, aiming to stretch Vidic and Ferdinand, but the German failed to have a significant impact on the match – mainly because Chelsea’s urge to catch the United centre backs out of position, led to numerous misplaced passes. Oscar was Chelsea’s most influential player going forward, as he continues to develop in his no.10 role. Along with preventing Carrick from playing penetrating passes from deep, the Brazilian midfielder was dropping deep to help Chelsea retain possession, which opened up space for Hazard and De Bruyne to attack. It’s been a constant feat in Chelsea’s attack this season, but United’s compact midfield handled the situation well, often forcing Chelsea’s attacking players to concede possession. Width has been a key component to United’s success over the years, and with central areas congested, United was keen on trying to overload the Chelsea fullbacks. When United defeated Chelsea last season at Stamford Bridge, Roberto Di Matteo was tactically naïve, and his wide men were given no defensive duties. United’s right side exploited his error, resulting in two goals in the opening 15 minutes, due to overloads. In the first half, Rooney often linked play with Valencia and Phil Jones on the right flank, and they received some success, getting past Ashley Cole, but the final ball was missing. Despite getting into advanced positions, Valencia was often reluctant to play a cross in or take a shot and goal, thus leading to his early departure. In fairness, Hazard sat deeper, and worked hard to prevent overloads, and albeit being beaten a few times, Valencia and Jones rarely threatened on the right flank. Moyes’ decision to introduce Ashley Young into the match was logical, and the Englishman provided the direct threat that United lacked. Suddenly, United were delivering dangerous balls into the six-yard box, forcing the Chelsea defence to make several key headers and interventions. Since Moyes’ arrival, Patrice Evra has made a stake as to why the United manager doesn’t need Leighton Baines. He was keen to push forward on the left flank, and he had space to exploit. With De Bruyne often tucked in, or looking to attack centrally, the French fullback was able to get forward occasionally. Evra’s freedom to bomb forward was due to Welbeck’s will to drift centrally and get involved in the attack, thus giving United another passing option. However, Evra’s freedom did leave huge gaps behind him to exploit, and Schurrle nearly punished United, but the German was ruled offside, before smashing the cross bar with a venomous shot. Wayne Rooney was the man under the microscope for the entire match, seeing that Mourinho hasn’t hid his determination to sign the United striker. Moyes has stated several times that Rooney will stay at Old Trafford, while Mourinho has made claims that it would be wrong to keep an unsettled player. But Rooney put all the speculation about his future on hold, and was one of the better players on the night. He dropped into midfield spraying passes out wide, drove United forward attempting to dribble players, and he even displayed his often praised work ethic, tracking back to make a fantastic tackle on Ramires. Despite not looking a bit interested, Rooney was able to find space between the lines, in which he forced Petr Cech to make a few saves – and specifically in the first half, he succeeded playing neat passes with Jones and Valencia on the right flank. Rooney is caught in the middle of two legitimate title contenders that require his services to succeed domestically. United fans witnessed Rooney’s ability to create in attacking positions, but his drive to win was also showcased, despite the awkward situation he’s involved in. As for Mourinho, his decision to start a game at Old Trafford without the three strikers at his disposal is a message to the English striker. Blues supporters want Rooney, and he’ll receive the opportunity to lead the line, with an abundance of quality creators behind him. It was also a cry to the Chelsea board to get into the market and pick up a top-class striker. 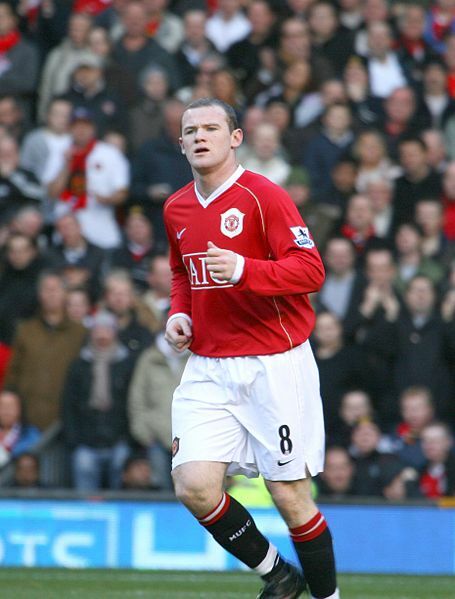 Nevertheless, Rooney inspired United’s attack and was one of the few bright spots in a game that lacked creativity. Mourinho’s alterations were conservative, and in his post-match press conference, the Portuguese manager stated that he wasn’t aiming to lose the match. It was peculiar to see Torres replace De Bruyne, mainly because it occurred seconds after Schurrle found space behind Evra to exploit. Schurrle moved to the right flank, and his attempt to break on the counter ended, as he was responsible for protecting Branislav Ivanovic and preventing Evra from surging forward. The Portuguese manager introduced John Obi Mikel for Schurrle and Azpilicueta for Hazard in the final stages of the match. Mourinho didn’t want to take any risks and his substitutions proved to be cautious, as he was content with the point. “Minute 70, 75, I was feeling [it was] difficult to win, I don’t want to lose, so I made the changes to control the last few minutes of the game, but no chance Juan goes anywhere,” Mourinho said. As for Moyes, Young’s introduction was to provide more attacking intent down the flanks, but his decision to introduce Ryan Giggs for Welbeck was also a ploy to push Evra forward, yet control the midfield. Unfortunately nothing came from the substitution, but it displayed Moyes’ will to earn three points, something out of the Scotsman element, considering his defensive approach in big matches. It was far from a Premier League classic, and it’s just a preview of what to expect from the top three clubs in the country – based on the fact that each manager approaches big matches with caution. Neither side provided the quality to win the match, whereas they both defended extremely well, meriting a draw. But they did learn that Rooney could play a pivotal role in determining who lifts the Premier League in May, and it’ll be interesting to see how the saga between the two clubs unfold.